Thursday, there was an important court decision in Dane County, where the judge blasted the “lame duck session” where the R’s did everything they could to limit powers of the new Evers administration. Following judge’s ruling, Tony Evers rescinds 82 Scott Walker appointees during lame duck session. And one of those appointees was PSC Commissioner Ellen Nowak! A little birdie told me that decisions made while she was a Commissioner may be at issue too! 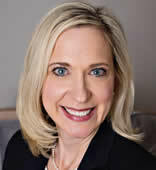 Ellen Nowak was first appointed to the Wisconsin Public Service Commission in July 2011 by Governor Scott Walker. She was reconfirmed for a new, six-year term beginning on March 1, 2013. Commissioner Nowak was named Chairperson of the Public Service Commission of Wisconsin in March of 2015. In March of 2018 Governor Walker appointed her as Secretary of the Department of Administration. She served in that role until the end of the Governor’s term and was then reappointed as chairperson on the PSC in January 2019. BYE! Don’t let the screen door hit you!